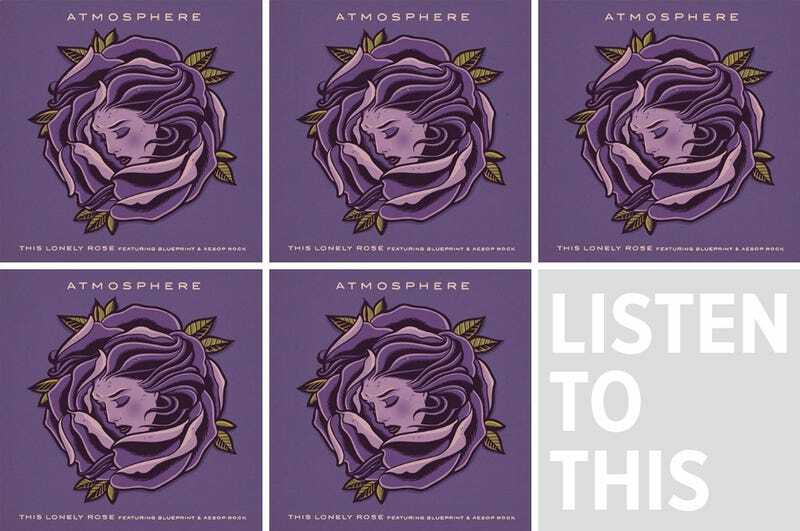 Listen To This: Atmosphere, "This Lonely Rose"
Atmosphere is the gateway musical drug that gets you hooked on anything and everything Rhymesayers, a hip-hop indie label out of Minneapolis. On this new track, Slug (the lyrical brains behind Atmosphere) is joined by Aesop Rock and Blueprint, two other Rhymesayer compatriots. “This Lonely Rose” shares the vocal load equally among the three with just a solid, catchy beat as back up. It’s a track that feels birthed from Atmosphere’s early beginnings in the 90s. I think that’s why I love it.